Khwezi Mceleli, Chumile Nomkopo, Sinothando Mtseli, Manyano Ngoma, Phemelo Nomaxhayi, Inga Mbete. 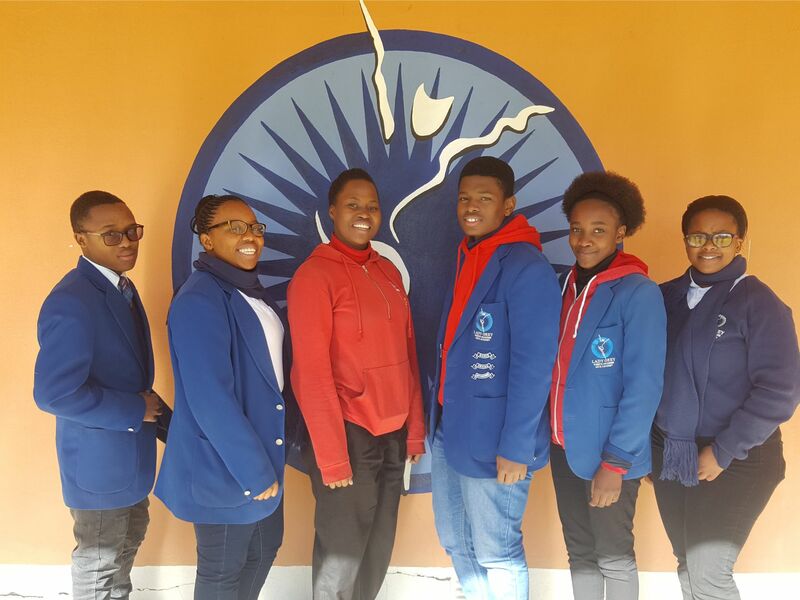 Lady Grey Arts Academy and Aliwal North High School Grade 11 and 12 students and one Grade 7 student raise the flag high in their first International Trinity College of London acting examination 2018 the following students were rewarded for their dedication and hard work for the exams. Siphenathi Booi – passed with a distinction. Mihlali Breakfast – passed with merit. Khanyisile Mashinini – passed with a distinction. Othembela Mbata – passed with merit. Inga Mbete – passed with a distinction. Sinothando Mtseli – passed with a distinction. Manyano Ngoma – passed with a distinction. Phemelo Nomaxhayi – passed with a distinction. Chumile Nomkopo – passed with a distinction. Nolwandle Novokoza – passed with a distinction. Bokang Ramathebane – passed with a distinction. Khwezi Mceleli – passed with a distinction. Cwenga Hlanjwa – passed with a distinction. Vote of thanks to Mr Johan Hattingh for always being there for the students ever since day one, nothing would have been successful if he was not there to keep them on the right track.